How can an entire career be captured on a page? After all, a career in medicine is more than the credentials, achievements, or accolades earned across a lifetime. This is a question we’ve asked ourselves as we bid farewell to Dr. Steven Plunkett, M.D., who has been the primary physician at Matthews Radiation Oncology Center for more than two decades. 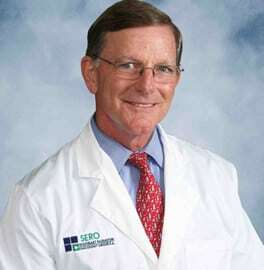 Dr. Plunkett began his career with SERO in 1983 after distinguishing himself in medical school at the Medical College of Georgia and residency at Wake Forest University School of Medicine (Bowman Gray). During the course of his long career, Dr. Plunkett has touched countless families, hearts, and lives with his dedication to providing compassionate, highest quality care. 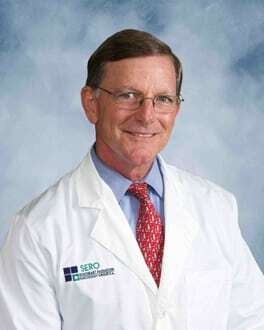 Over the years, Dr. Plunkett has contributed to several books, journals, presented lectures to upcoming medical students, and researched clinical immunology, immune modulation, hyperfractionation, and the effects of anti-cancer therapy on the immune system. Outside the office, Dr. Plunkett was active in the community, serving on the Boards of Charlotte Christian School, Search Ministries, and the Carolina Youth Commission, as well as doing volunteer work for several other local and international organizations. Join us in wishing Dr. Plunkett a wonderful retirement!